There are a lot of social sites which we are all familiar with. 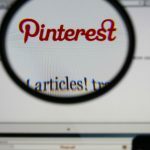 However in recent times, Pinterest, the new entrant has measured tremendous growth and popularity attracting unique visitors each day. This free online scrapbook helps you organize your WebPages, images, and videos based on your interests. It allows you to lookup and share images on the Web. 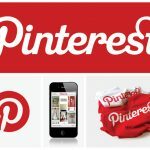 Pinterest is a magical tool you can use to promote your business and increase the traffic to your site. Users are all praise for Pinterest as it brings in double the amount of visitors compared to other sites. Here are tips to use Pinterest to attract visitors and spread word about any new product on your line. Small business owners and retailers can add the “Pin It” button to their site. This is one way to drive referral traffic. You need to spend adequate time to explore this site. It helps you identify the relationships that are vital for business growth. It is advisable to follow users with maximum likes and re-pins. On the other hand un-follow pins or persons who you think are not very beneficial. The key to driving traffic is a simplistic and uncluttered pin board design. You pin images on your pin board with a link directing visitors to your site. The picture you post should be interesting and enticing. Develop your list of followers based on your niche. Your business should be relevant to what the site caters to. Only then will you be able to get the maximum benefits for increasing traffic. Integrating Pinterest with other already existing social networks will also contribute greatly. These social networking sites have their loyal fans who can be directed towards Pinterest. You can create daily themed pins with catchy and humorous slogans. This process is an effective method to get re-pinned often as visitors come back for updates on any new activity. You can also add news tidbits and simple self written articles for your followers giving them more than product promotion. You can create awareness about your business by following the bigwigs on the Pinterest site or by supporting a charitable cause.